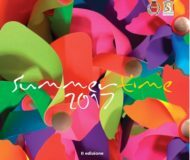 Music Events in Sorrento and Amalfi Coast. 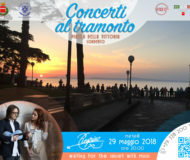 The Municipality of Sorrento and the "22 December" movement give the citizens of Sorrento and the many tourists who are hosted during this period between spring and summer, a series of free concerts in the splendid setting of Piazza della Vittoria, in Sorrento of course. 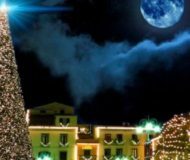 Description: The Municipality of Sorrento and the "22 December" movement give the citizens of Sorrento and the many tourists who are hosted during this period between spring and summer, a series of free concerts in the splendid setting of Piazza della Vittoria, in Sorrento of course. 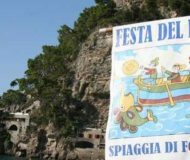 It comes at the eleventh edition the summer event organized by the parish of Casarlano (Sorrento). 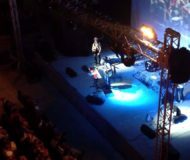 Description: It comes at the eleventh edition the summer event organized by the parish of Casarlano (Sorrento). Starting the second edition of Sorrento Summertime, in the beautiful setting of Villa Fiorentino. Description: Starting the second edition of Sorrento Summertime, in the beautiful setting of Villa Fiorentino.